People with English as a second language (ESL) can benefit from the assistance of a native English-speaking editor to help them with their written English. Such people face special challenges when they come to English speaking countries such as Australia, the USA or Britain, to work or to study, since in any university or professional environment there is an expectation of high quality English communication skills. 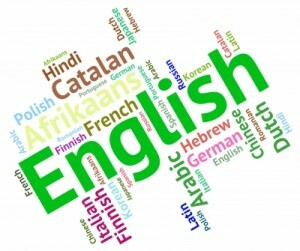 Students for whom English is not their first language face special challenges at any university in an English-speaking country. Though all international students are required to meet a certain standard of English proficiency, many still have difficulty in writing academic English. As well as the language skills that need to be acquired, there are often misunderstandings about communication that have their origin in cultural differences. For example, in an essay or thesis, English speakers are used to presenting and developing their arguments in a particular way, whereas in other cultures this process may be done in a different way that is not compatible with the expectations of English-speaking assessors. ESL speakers are often excellent students and are highly motivated; their problems seldom involve a lack of ideas. Their primary writing problems typically involve difficulty expressing concepts and ideas in English, and because they have to deal with competing cultural expectations and competing languages, ESL students can have special difficulties seeing problems with their writing and solving them. Lecturers and tutors also face a dilemma when it comes to assessing and grading these students’ written work. Some instructors feel it is unfair to penalise students who seem to know the material but have not mastered standard written English. Others, however, believe that it is unfair to pass or graduate students who do not have a basic skill that employers and graduate programs will expect of university graduates. With working experience as an editor and writer, and having a Masters degree in linguistics, I am able to provide guidance and help with your written English. If you wish to engage my services to help you with your written work, then please contact me using the details on my Contacts page. Please bear in mind that I will adhere at all times to ethical standards in relation to editing your work. The university or college you attend expects your work to be your own, and I will assist you with correcting and improving your writing, but I cannot ethically write content for you. If you are writing a thesis or dissertation, please see my thesis editing page for more information. Graduates and professional people who come to live and work in English-speaking countries are often faced with difficulties in finding employment or being accepted for membership by professional bodies. While local native English-speaking graduates are normally eligible for membership of their respective professional bodies, people emigrating from other countries normally need to apply for membership and prove eligibility. Implicit in this process is the need to describe their qualifications and experience in written English of a suitable standard. Many professionally qualified people from non-English speaking countries are already highly proficient in spoken English, but the particular standards that are expected in business and professional writing can present difficulties. We don’t write in the same way that we speak. With working experience as a professional engineer, editor and writer, and having a Masters degree in linguistics (MA, Crosscultural Communication), I am able to provide guidance and help with your written English. If you wish to engage my services to help you with your written work, then please contact me using the details on my Contacts page. Please bear in mind that I will adhere at all times to ethical standards in relation to editing your work. If you are applying for membership of a professional association and you are required to endorse your work as yours alone, then I will assist you with correcting and improving your writing, but I cannot ethically write content for you.